Celebrate your baby’s Champion Moves with Pampers + Jessica Ennis-Hill! Did you know that a cruising baby can take as many steps in one day as a marathon runner in a race? 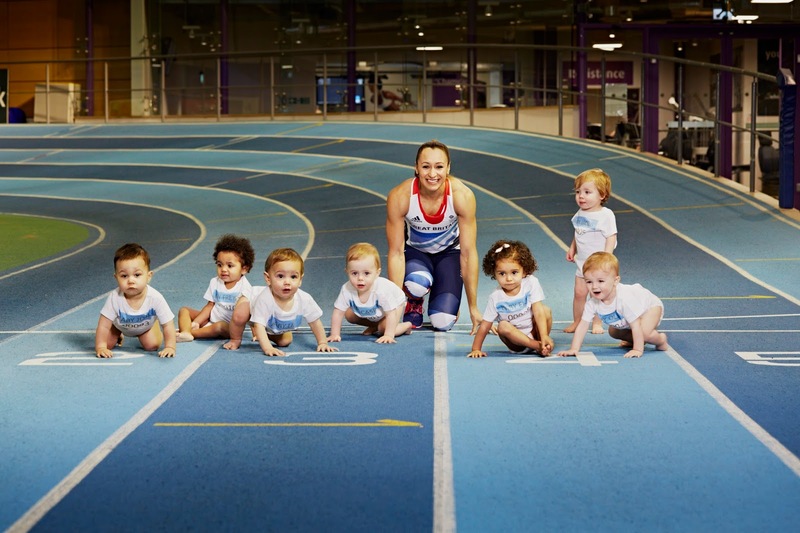 With visions of little athletes in mind, Pampers have joined forces with the one and only Jessica Ennis-Hill to launch the 'Little Champions Campaign' - helping to shine a light on the next generation of athletes and to encourage parents to celebrate their own little champions too! Although Daisy and Evie are both out of nappies these days, I have always been a very loyal Pampers Mum and now they are even more innovative than they were when we used them a year ago! They are the only nappies to contain new, revolutionary Magical Pods - absorbing channels that help distribute wetness evenly and provides a sag free fit. Babies need a nappy that allows them to move about freely, without being restrictive, and that offers comfort and protection at the same time so that they can show off their champion moves! Last month, I had the pleasure of having afternoon tea at the Savoy with Jessica, as part of the launch of P&G's Olympic 'Thank You Mum' campaign. Jess and her mum were there to talk about their relationship and, of course, they touched on the dedication and determination that's required if you want to be an Olympic Heptathalon Champion. Another important requirement is a high performance kit! And that goes for our little champs, as well as world class sports people. And THAT is why Pampers chose to team up with Jess who, as well as being a champion herself, is also mum to gorgeous little Reggie. She knows better than anyone, how important it is to have the right kit to help her perform - and for her baby to be comfortable and to have the freedom to move around comfortably too! Jess says: "As a mum I love being active with Reggie - we have so much fun together and I know that it's great for his development - that's why I've teamed up with Pampers to encourage mums to celebrate their little one's champion moves! Our babies are the future generation of medal winning athletes after all..."
Pampers really do understand that bring able to move freely and comfortably is beneficial towards babies' development. A couple of years ago I visited the Pampers Factory in Manchester to see how the nappies were made, and also had the chance to listen to Dr. Ellie Cannon speak about their Love, Sleep & Play campaign. She explains: "Feeling physically free and uninhibited whilst being supported and safe is an important part of a baby's exploration of the world and physical development. Babies don't need instructions to learn - they learn through self-discovery and encouragement from those around them. That encouragement comes in all forms: not just a clap from mum and dad, but also being unrestricted in their clothes and nappy. Freedom to move without restriction is a key aspect of your baby's development environment." With this in mind, it's not surprising that freedom of movement is freedom for your little one to reach their potential.... and who knows, they could be future Olympians!